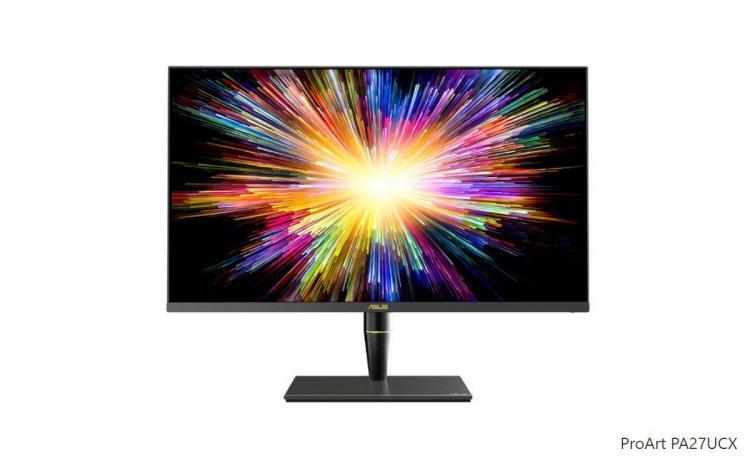 ASUS introduces the ProArt PA27UCX monitor featuring 4K resolution, new mini LED backlighting technology and VESA DisplayHDR 1000 certification. The ASUS ProArt PA27UCX is a 27-inch monitor with 4K resolution and an IPS display panel. The ASUS ProArt Series monitors are geared towards creative professionals into content creation, photography, videography, and related arts that demand accurate colour reproduction. The ProArt PA27UCX packs true 10-bit colours, support DCI-P3, Rec. 709, Rec. 2020 and Adobe RGB wide colour gamut. The ProArt PA27UCX is also professionally pre-calibrated for excellent colour accuracy having DeltaE less than 2. It comes with a selection of connectivity options including DP over USB-C with 60W Power Delivery, DisplayPort, HDMI, and a USB 3.0 hub. The ProArt PA27UCX also features the new mini-LED backlight technology which is expected to be used to monitors coming out this year. The use of Mini LED backlight on display devices started in the second half of 2018. Mini LED backlighting technology generates higher contrast and higher colour gamut to deliver crisp and clear visuals which are demanded on high-end gaming monitors, notebooks, tablets, VR applications and others. The ProArt PA27UCX’s mini LED backlight delivers up to 1000 nits peak brightness, achieving the VESA DisplayHDR 1000 requirements. The ASUS ProArt PA27UCX feature exclusive technologies including ASUS ProArt Hardware Calibration technology that offers advanced of colour accuracy and uniformity. The ProArt PA27UCX also comes with ASUS Smart HDR Technology supports multiple HDR curves and formats (HDR-10, HLG). No information on pricing and availability as of this writing. Learn more about the ASUS ProArt PA27UCX monitor here.